Interventional options are not limited to those most common procedures. Also patients with other congenital or acquired problems which can be helped with minimal invasive procedures are considered. This includes anomalies like a Cor Triatriatum dexter, stenting vessels which are compressed by neoplastic lesions, etc. The interventional case load has increased over the last 8 years and we are currently performing interventions almost on a weekly basis. 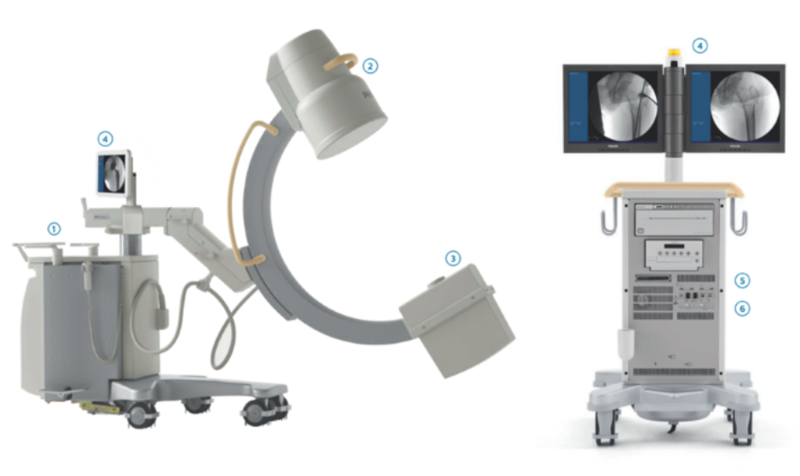 The increased case load allowed purchase of a new, state of the Art C-Arm. Allowing reducing procedure and exposure times and improved image quality. Included are software packages like subtraction and road-mapping which will also open an opportunity to develop the interventional field further. We are exploring the option of closing intrahepatic shunts in the soon future. The Ductus Arteriosus is a connection between aorta and pulmonary artery which usually closes spontaneously after birth. Sometimes this vessel remains open (PDA, Persistent Ductus Arteriosus > ARROW) which then requires artificial closure. Otherwise this anomaly will result in volume overload of the left heart, cardiomegaly and congestive heart failure. PDAs exist and many different sizes. Some are small, others are very large. Large PDAs are closed with mushroom like looking plugs. At SCVS we are using mainly Vascular plugs which can be inserted through the femoral vein via percutaneous puncture. Coils which have been used prior the existence of the vascular plugs in the attempt of closing PDAs do not work well in patients with large PDA vessels. However, they securely close small PDAs. We have started placing coils in patients with small PDA vessels which reduces cost for the owner. 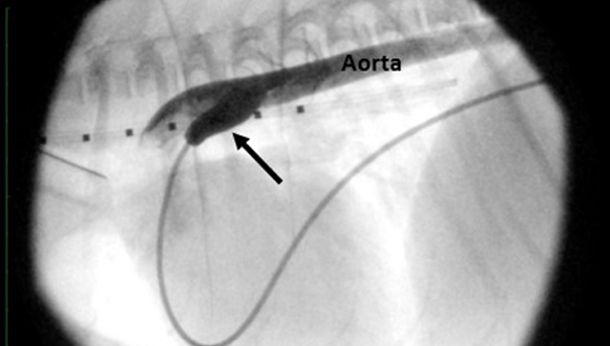 The video loop below shows angiography of a small PDA with a small ostium and demonstrates positioning of a Coil to close the duct. Following Coil placement Angiography is repeated and demonstrates absence of flow through the vessel.